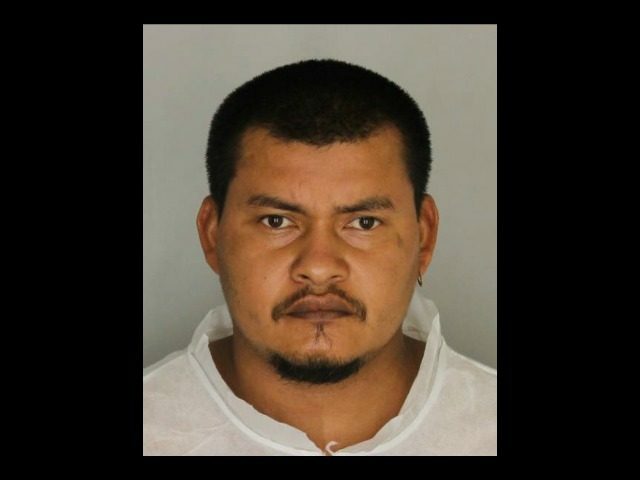 Jose F. Olmos—a Mexican national who also goes by the name Jose Olmos-Torres—was arrested on July 28 and charged with murdering Nurten Seljuk, 66, in downtown New Rochelle, New York, on July 27, the hyper-local news site Talk of the Sound reported. ICE officials placed a detainer on Olmos on July 28, requesting that the New Rochelle City Police Department transfer Olmos to the custody of ICE after his criminal case is decided and any corresponding prison sentences are served. Olmos had been removed from the U.S. twice in 2009 before he illegally re-entered the U.S.
“Jose Olmos-Torres, an illegally present citizen and national of Mexico, was previously removed from the U.S. as an expedited removal on two separate occasions in 2009,” ICE New York Public Affairs Officer Rachael Yong Yow told Talk of the Sound. “At some point thereafter, Olmos-Torres illegally re-entered the U.S. in violation of immigration law for the third time,” she added. Olmos allegedly beat Seljuk to death outside the New Rochelle Armory building early in the morning on July 27, a criminal complaint stated. Authorities arrested Olmos the following day and charged him with second-degree murder. The Westchester County District Attorney’s office said in a statement Seljuk died from multiple injuries resulting from blunt force trauma. Police said both Olmos and Seljuk were homeless and lacked permanent addresses, the Journal News reported. Although it appears local authorities are complying with ICE’s request, New York state has a history of enforcing sanctuary policies for migrants entering the U.S. illegally. New York Gov. Andrew Cuomo, a Democrat, announced in April that he would prohibit ICE officials from entering state buildings without a warrant from a state judge and provide $10 million in state money to lawyers who help defend illegal aliens. The New York Democrat also pardoned seven illegal aliens with criminal convictions on their records on July 24 as he faces a primary challenge from the left in the governor’s race this November. Cuomo’s challenger, progressive activist and actress Cynthia Nixon, has repeatedly called for abolishing ICE and has put pressure on Cuomo for not doing enough to stop President Trump’s efforts to deport illegal migrants.